Co-trainer Tom Dabernig believes Nasaayim can make an early season mark when she runs at Randwick. The Lindsay Park team’s belief Nasaayim will be better as a three-year-old will get its first examination when the filly makes her new season return at Randwick. Nasaayim, trained by David and Ben Hayes and Tom Dabernig, won two of her five starts as a juvenile and she resumes from a spell in Saturday’s Winter Racing Handicap (1200m) for three-year-olds. After winning at Ballarat and Caulfield at her second and third starts, Nasaayim was unplaced in both the VRC Sires’ Produce Stakes and Baillieu Handicap over 1400m in March. Dabernig said they decided to spell the filly in NSW and prepare her from the team’s Sydney stable rather than bring her back to their main Victorian base at Euroa. And he believes the filly is well-placed on Saturday. “We spelled her up there and then brought her back in through the Randwick stable,” Dabernig said. “She has trialled well and we always thought she would be a better three-year-old than a two-year-old. 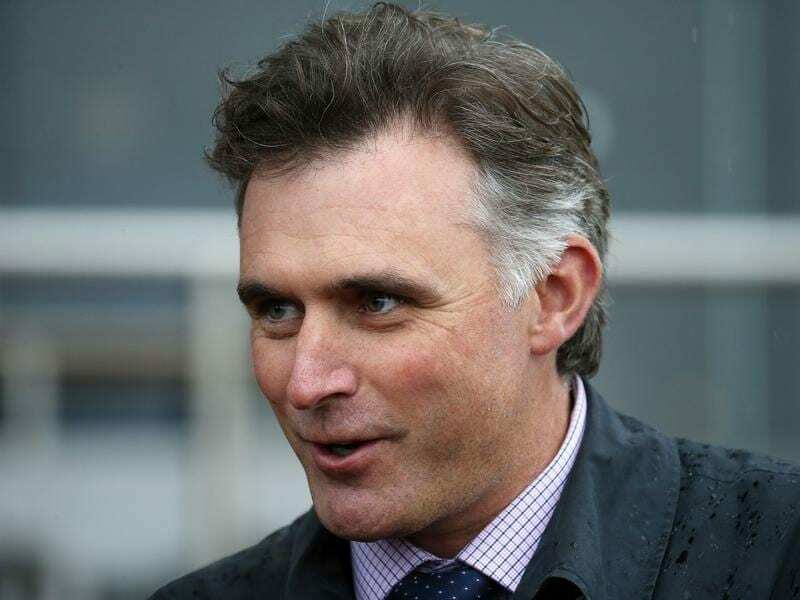 “Her couple of winning performances at 1200 metres were pretty good and I’ve had a little bit of a look at the form and it looks an achievable race on Saturday. Nasaayim finished a close second in a 735m Randwick trial on July 13 before winning a 900m heat at Rosehill 10 days later. “She looks great,” Dabernig said. There are a number of stakes options if Nasaayim kicks off her campaign in good fashion. “I think we’ll just see what she does in these first couple of runs and then we’ll either get a bit ambitious or play it a bit safer,” Dabernig said.